According to the theory of Intelligent Design, it is possible to infer from empirical evidence that some features of the natural world are best explained by an intelligent cause rather than unguided processes. The “ID movement,” as it is sometimes called, is quiet recent. It originated with the publication of several books between 1984 and 1992 and a small meeting organized by Berkeley law professor Phillip E. Johnson near Monterey, California, in 1993. 1. The word “intelligent” emphasizes that “design” in this case is not just a pattern, but a pattern produced by a mind that conceives and executes a plan. Any natural causes involved are guided by intelligence. Writing a meaningful paragraph on a computer depends on various physiological, mechanical, and electronic processes, but without a mind directing them they would not produce the paragraph. 2. ID is not a substitute for ignorance. If we don’t know the cause of something that does not mean it was designed. When we make design inferences- and all of us make them every day- we do so on the basis of evidence; the more evidence, the more reliable the design inference. 3. ID relies on scientific evidence rather than on Scripture or religious doctrines. It is not biblical creationism. Intelligent Design makes no claims about biblical chronology, and biblical creationists have clearly distinguished their views from ID. A person does not even need to believe in God to infer intelligent design in nature; otherwise, prominent atheist Anthony Flew could not have been persuaded that the evidence in nature points to design. 4. ID does not tell the identity of the designer. Although most proponents of ID believe that the designer is the God of the Bible, they acknowledge that this belief goes beyond the scientific evidence. Thus ID is not the same as nineteenth-century natural theology, which reasoned from nature to the attributes of God. Instead, ID restricts itself to a simple question: does the evidence point to design in nature? The answer to this question- whether yes or no- carries implications for religious belief, but the question can be asked and answered without presupposing those implications. 5. ID does not claim that design must be optimal; something may be designed even if it is flawed. When automobile manufacturers recall defective vehicles, they are showing that those vehicles were badly designed, not that they were undesigned. 6. ID is compatible with some aspects of Darwinian evolution. ID does not deny the reality of variation and natural selection; it just denies that those phenomena can accomplish all that Darwinists claim they can accomplish. ID challenges only the sufficiency of unguided natural processes and the Darwinian claim that design in living things is an illusion rather than a reality. For those interested in learning more about ID, go here. 1. Taken and slightly modified from Jonathan Wells, The Politically Incorrect Guide to Darwinism and Intelligent Design, p. 7-9. 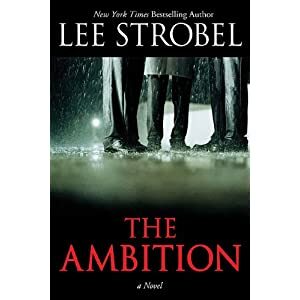 Lee Strobel, author and speaker, has recently released his first fiction book entitled The Ambition. "I’m excited to enter the realm of fiction with my thriller, The Ambition, an intricate tale of power, politics and payoffs in a suburban megachurch, a big-city newspaper, and the shadowy corridors of political intrigue. Deception and ambition collide in this edgy story inspired by my years as a Chicago reporter. “Completely riveting,” said one New York Times best-selling author." Hear an interview with Strobel here. To learn more about Strobel and his ministry, go here. Finally, you can subscribe to Lee Strobel's monthly newsletter here. In this featured article, philosopher and apologist Paul Copan addresses the question, "How Could God Command Killing the Canaanites?" "I have written a book on Old Testament ethics (Is God a Moral Monster? — forthcoming with Baker), including four chapters on the Old Testament and violence. I can only here briefly summarize my response to this perennially perplexing question. Keep in mind that I am offering an alternative to the Sunday School version of the Canaanite question.2 First, I will make a few introductory remarks. Then I will sketch out the key points as a preview of the warfare discussion in my forthcoming book." For those interested in Is God a Moral Monster?, see here. You can examine more of Copan's work here. In this featured article, Ronald Nash addresses the question Was the New Testament Influenced by Pagan Religions? Many Christian college students have encountered criticisms of Christianity based on claims that early Christianity and the New Testament borrowed important beliefs and practices from a number of pagan mystery religions. Since these claims undermine such central Christian doctrines as Christ's death and resurrection, the charges are serious. But the evidence for such claims, when it even exists, often lies in sources several centuries older than the New Testament. Moreover, the alleged parallels often result from liberal scholars uncritically describing pagan beliefs and practices in Christian language and then marveling at the striking parallels they think they've discovered. ***May 6-7 Conference in Mt. Airy registration is now open. To register, go here. Note: Truthbomb Apologetics does not necessarily endorse all of these speakers. Dr. William Lane Craig has now crossed swords with each of the "Four Horsemen" of the New Atheism in some form or another. Craig recently debated Sam Harris on the topic of Is Good from God? The audio can be found here. The debate site is here. Further, a transcript of the debate can be found here. Dr. Craig has also debated Christopher Hitchens. Information regarding that debate can be found here. Dr. Craig discusses this debate here. He has participated in a debate with Richard Dawkins on the topic of Does the Universe Have Purpose? That audio can be found here. Finally, Craig has interacted with Daniel Dennett and his arguments and you can listen to that audio here. I encourage our readers to see how Dr. Craig fairs as he goes head-to-head with the best the New Atheism has to offer. As always, thanks to Apologetics315 for all the great audio!